Captains Blog: What was the first IoT (Internet of Things), ‘Thing’? What was the first IoT (Internet of Things), ‘Thing’? “The Internet is Dead, Long live the internet!”. 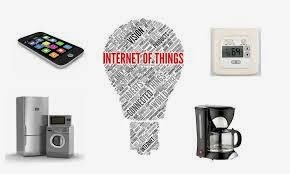 From the death of IPV4, The death of the PC, the rise of IPV6 and mobile devices, we now have the IoT, The Internet of Things. Early discussions, i.e. ‘pre-history’, seem to date the IoT to discussions by Mark Weiser in the early 1990’s or they can be traced back to Karl Steinbuch, who in 1966 said “In a few decades time, computers will be interwoven into almost every industrial product”, or even Nikola Tesla, "When wireless is perfectly applied the whole earth will be converted into a huge brain… and the instruments through which we shall be able to do this will be amazingly simple compared with our present telephone…. A man will be able to carry one in his vest pocket." But, when was the first ‘thing’ hooked up to the internet? …something other than a router, teletype, modem or server… something that already existed and served a useful purpose before the internet and was enhanced by or enabled by the internet? In the 70’s, a group of students at Carnegie Mellon University, obviously fuelled by too much caffeine and pizza, decided to address what was becoming a huge problem, a problem that could have ended the promising careers of many of today’s computer science luminaries. This was a problem involving space, time, and yes the randomness availability principle. The problem? The coke machine on the third floor in the main terminal room for the computer department was known to run out or often serve up less than ice-cold Coca-Cola. Students, especially computer science students, known to be lazy creative, decided to put their collective skills together to come up with a solution that would stand the test of time, and quite possibly earn them a Nobel Prize. Since teleportation was out of the question, as was the installation of a food replicator (before the invention of the 3D printer) what did they do? Finals were around the corner and panic set in. What was their solution? How did they solve this problem? This was the computer science department, could they solve it with COBOL or FORTRAN? What about B.A.S.I.C? (PL1?) To their unending embarrassment, this was not just a software problem. They needed to dig into the depths of their experience and come up with a hybrid solution that included ... hardware. They connected the Coke machine to ARPANET, the predecessor of the Internet and were not only able to tell if the life giving elixir was available, but ensure that it was at an acceptable level of tongue tingling cold. This proved to be an innovation that helped launch many other Carnegie Mellon Internet projects. Other ‘things’ began to spring up, replicating this life saving innovation all without a Mercedes GL load of patent lawyers. But, alas, as the dragon found out, little Jackie Paper found other things to do with his time, and this long list of internet coke machines now brings up the dreaded ‘Error 404’ page. Let’s all mourn the passing of the first of the Internet of Things with a moment of silence and a round of ‘Puff the Magic Dragon’. Life will never be the same.